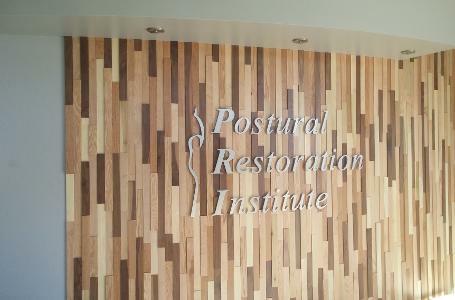 We will be closed on Friday, April 1st (no this is not an April Fool's joke) to move into our new PRI Headquarters. We will not have access to phone or email, but hope to be up and running again by Monday, April 4th. Have a great weekend! Last week I had the opportunity to do a brief PRI introduction to a group of 9 students in the Graduate Program in Athletic Training from San Jose State University. They came to me via Tokyo. 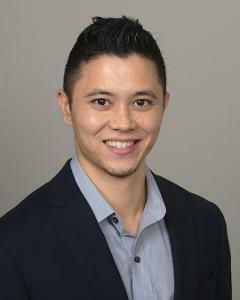 While in Nebraska for PRT Testing in January, Tadayoshi Takahashi had mentioned to me that Tokyo native Dr. Maasaki Tsuruike is Head of the Graduate Athletic Training Program at SJSU and Dr. Norikazu Hirose, professor of Sports Sciences at Waseda University in Tokyo is doing a year sabbatical with him. So he reached out to them and had them contact me as soon as I got back from NE, so long story short, they met with me a few weeks ago and wanted to bring the SJSU students on a tour. Some Waseda University students may come to SJSU in the summer and they may end up spending a day with us at the Riekes Center also. So NE to Tokyo to San Jose. Funny how networking works! Bill Hartman, Mike Robertson and the IFAST Family were fantastic hosts once again as PRI rolled back into Indy for our flagship course, Postural Respiration. Having worked together with Bill and the many professionals he has mentored and influenced over the years, I feel a certain kinship with the entire IFAST organization. In spite of all those great associations, I personally had not ever been to their facility or had the chance to rub shoulders with them on their home turf. This weekend gave me that opportunity and it did not disappoint. We hit the ground running talking about the significance of internal rotation in so many different parts of the human body, including and especially the rib cage. This rib internal rotation is a primary driver for the properly positioned internal rotation we seek at the ilia, the femurs, the scapulas, the humeri and of course, the temporal bones. It was so great to have an IFAST performance partner, Dr. David Smith, DDS sitting on the front row right next to Bill Hartman learning how temporomandibular and cervicocranial function is influenced by ribs that internally rotate. Dave, you are a gentleman and a scholar, and our course was better because you took the time to be there. Thank you. And with some help from my lab assistants, Louise Kelley, DPT, PRC, and Sayuri Abe-Hiraishi MS, ATC, LAT, CSCS, NASM-PES, CES, PRT we were able to explain and illustrate the frontal plane and transverse plane differences of the lower trap on the right vs the lower trap on the left. We reviewed the lower trap’s ability to work together with the internal obliques and the hamstrings to control thoracic position in the sagittal plane. We were also able to break down the many important thorax performance functions of the good old Serratus “Magnus”. We talked about its action on compensatory neck tone, its ability to translate a rib cage posteriorly, translate a rib cage laterally, and activate the abdominal wall in the frontal plane contralaterally and in the sagittal and transverse plane ipsilaterally. All in all, we came to the conclusion that the Serratus Anterior does more to drive human performance than meets the eye. In a phone conversation with Valerie Dejean discussing her Interdisciplinary Integration Symposium presentation, she asked us if we do any sort of entertainment as part of the symposium. Ron and I of course listened intently as she shared with us the story of her friend, Rhonda Musak, an actress and acting coach, who was preparing to debut her autobiographical, self-written solo show, “Rhonda Badonda: The Adventures of a Girl with a Pain in Her Brain.” We are so excited to bring Rhonda from NYC to Lincoln to present her solo show at this year’s symposium. Her personal journey will tie directly into this year’s topic, and we couldn’t have found a better fit for an entertaining piece at this year’s symposium! Rhonda Musak is an actress and acting coach in New York City. She recently had the pleasure of performing in Vancouver, BC as she launched the world premiere of her self-written solo show, Rhonda Badonda: The Adventures of a Girl with a Pain in Her Brain, at the Vancouver Fringe Festival, followed-up by a sold-out run in NYC at the United Solo Theatre Festival. 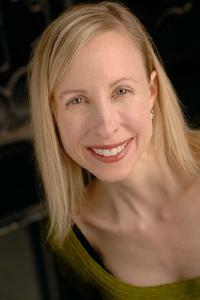 Rhonda has appeared in numerous New York City productions including the title role of Ondine – which was produced by her company, Deep Water Productions. Other favorites include: The Good Person of Setzuan, Measure for Measure and The Marriage Proposal. Rhonda has toured nationally and has performed regionally. She is a graduate of the National Shakespeare Conservatory. As an acting coach, Rhonda blends powerful acting techniques together with transformational Ericksonian solution focused life coaching at her acting studio: Art & Soul Acting – www.artandsoulacting.com. Rhonda Badonda from Rhonda Musak on Vimeo. I was welcomed back to Worcester; Mass by the awesome staff of Central Mass Physical Therapy this past weekend! I had such a great time teaching Myokinematics of the Hip and Pelvis last year and really looked forward to returning this year to teach Pelvis Restoration! I was not disappointed. The class was a diverse group of clinicians that had experience ranging from newbies to PRC’s. I was joined by my former UVM classmate and 2005 PRC classmate Cory Healy and my PRI BFF Donna Behr as lab assistants. The staff of Central Mass spoiled me with yellow M & M’s and their enthusiasm for PRI. We had a great time once again. We switched gears from AF and FA to discussing the PRI relationships of the Pelvic Inlet and Outlet. Thanks to a little sleep deprivation compliments of Delta Airlines, a fun analogy of the new Jen Poulin “Pickles of the Pelvic outlet” emerged. 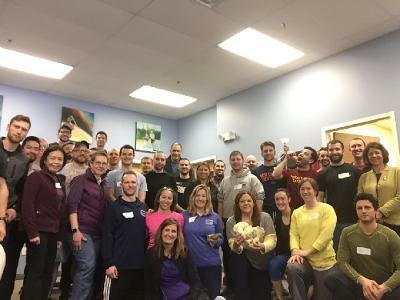 Look closely at our group picture of the Right posterior outlet pickle in the front row and 2 eager PT students funneling PRI knowledge in the back row! Too fun!! PRI is alive and well in Western Massachusetts. Matthew Uohara is a Certified Strength and Conditioning Specialist through the NSCA. He holds a Masters in Human Movement. Matthew has studied Dynamic Neuromuscular Stabilization through the Prague Rehabilitation School, he is Postural Restoration Trained through the Postural Restoration Institute in Lincoln, Nebraska and is a Functional Range Conditioning movement specialist. Matthew currently trains athletes from all the professional ranks including the NFL, NHL, MLB, WNBA, and WTA. In addition Matthew prepares individuals for both the Summer and Winter Olympics. Sound is an illusory world. Hidden in these illusions are evolutionary impressions born out of the struggle to move the way we do! This relationship between sound and performance allows us, the added variable, to harness this power in the form of patterned neuro-feedback. If handled in an educated manner, the outcome of this relationship can be a potentially elegant mover! More often than not, the topic of our Annual Interdisciplinary Integration Symposium is a direct reflection of Ron’s current clinical experiences. In the past year and a half, Ron and Dr. Heidi Wise have noticed that they are able to change posture and PRI objective tests with auditory input. They have read numerous articles, purchased dozens of books, and clinically have applied auditory changes with several patients in the past year. Auditory and visual processing pathways are largely parallel in the brain, which explains why many patients with visual processing difficulties also have other sensory processing dysfunction, including auditory. Noting changes in the ways some patients experience changes in their subjective hearing characteristics, including audiologic testing when vision was changed was powerful and was just the tip of the iceberg. Dr. Heidi is personally interested in this area of integration not only because of her passion for vision’s effect on the brain and body, but also due to her lifelong love of music and playing instruments. Dr. Heidi Wise will discuss similarities and parallels between visual and auditory processing for spatial localization. The concepts of sensory coherence and integration of auditory and visual information will help the attendee provide appropriate sensory input for overall successful egocentric location or orientation when working with patients, clients or athletes. 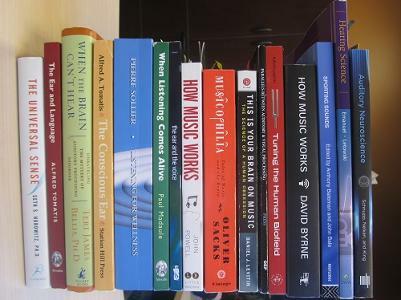 An overview of the fundamental perceptual attributes of music and their neurological influence will be given by Dr. Heidi Wise. To appreciate the benefits of music one should understand the loudness, pitch, contour, rhythm, tempo, timbre, spatial location and reverberation of sound. An overview of concepts of extra-auditory connections in the brain that are responsible for clinical significant tinnitus and decreased sound tolerance will be given. Enrichment of auditory background weakens the tinnitus signal and enhances connections between the auditory and limbic system so that gradual habituation can occur with former activity or non-activity that is correlated with tinnitus, hyperacusis or misophonia. Clinical vibration, thoracic resonant rhythm and the timed beat produced by the feet and sacrum will all be discussed as they relate to bioacoustics behavior to patterned sound and noise generated by human activities, otherwise known as anthropogenic noise. Our biologic instrumentation that we rely on the most for postural organization and positional framework are the paired temporal bones. Localizing sound in auditory space is related to our ability to locate ourselves through temporal bone motion. This discussion will enable the course attendee vary pitch, volume and tempo of music to enhance laterality with their patients, clients or athletes. A number of case studies will be presented on patients that have been assessed and treated by Dr. Heidi Wise and Ron Hruska for visual sensory integration that also had underlying auditory processing disorders. Clinical recommendations and suggestions, based on these case histories and outcomes will be provided, as related to movement dysfunction and malpatterned posture. 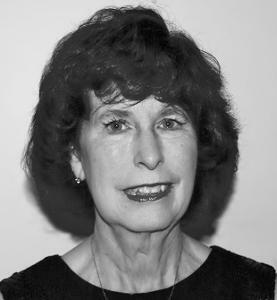 Valerie Dejean graduated in 1976 from Boston University with a BS in Occupational Therapy. Her first job was at Warren State Hospital in Pennsylvania implementing a Sensory Integration program with Psychiatric-Schizophrenic patients. Three years later when she moved to Washington, DC, she specialized in using sensory integration techniques in the emerging epidemic of Autism. She was certified in Sensory Integration in 1983; and certified in pediatric Neurodevelopment Therapy (NDT) in 1984. She has advanced training in Myofascial Release and helped develop and teach the first pediatric trainings for John Barnes. She has advanced training in Cranial Sacral Therapy through the Upledger Institute. In 1992, Valerie trained in Paris, France with Dr. Alfred Tomatis, and started the Spectrum Center in Bethesda, Maryland, becoming the first occupational therapist in the world to use the Tomatis Method™ in combination with Sensory Integration. Tomatis was a pioneer in identifying the foundational role the “Ear” in its’ entirety (gravity and sound perception) plays in human evolution and development. Although based on his discoveries there now are a proliferation of technologies aimed at addressing listening and learning, there is very little understanding of his thinking. Through an overview of Tomatis’ research that led to his revolutionary insights and treatment, Ms. Dejean intends to impart a deeper understanding of his clinical reasoning. Armed with in-depth knowledge of Tomatis’ thinking, one is enabled to employ the soundest clinical reasoning and make the best use of his technologies. We are born with a brain; we build our mind. We do this through our sensory interactions with the world. Through her clinical experience using the Tomatis Method with several thousand children and adults with Autism, Alzheimer, Learning, Attention, and Auditory Processing Disorders, Ms. Dejean is proposing the primary role that praxis plays in the human capacity to invent and be symbolic. Through the use of clinical examples this talk will illustrate the bedrock effect that the ear (gravity and sound perception) has on how we as humans are able direct our attention, thoughts and behaviors, into successful and novel transactions with the outside world; the skills that have allowed us to survive and prosper as a species. Through case studies she will demonstrate how the use of sound and voice can be used to rebuild and realign cognitive, physical and emotional development so that a person’s potential can unfold. If you haven't signed up for the Interdisciplinary Integration Sympoisum yet, be sure to do so this week, as the early registration rate of $465 ends this Friday, March 18th. CLICK HERE to sign up today! March Madness! New building, online home studies, 8th Annual Interdisciplinary Integration Symposium. It has been March Madness in the PRI office lately! We have been preparing our new building, working on getting our home studies online and getting ready for the 8th Annual Interdisciplinary Integration Symposium. In celebration we will be giving away a free tuition for one of our online home studies for the person who gets the most number of Final Four teams correct (If there is a tie a random drawing will determine the winner). Your four teams must be in by 10am EST on Thursday March 17 to be entered. One guess per person. Go to our Facebook Page to enter.